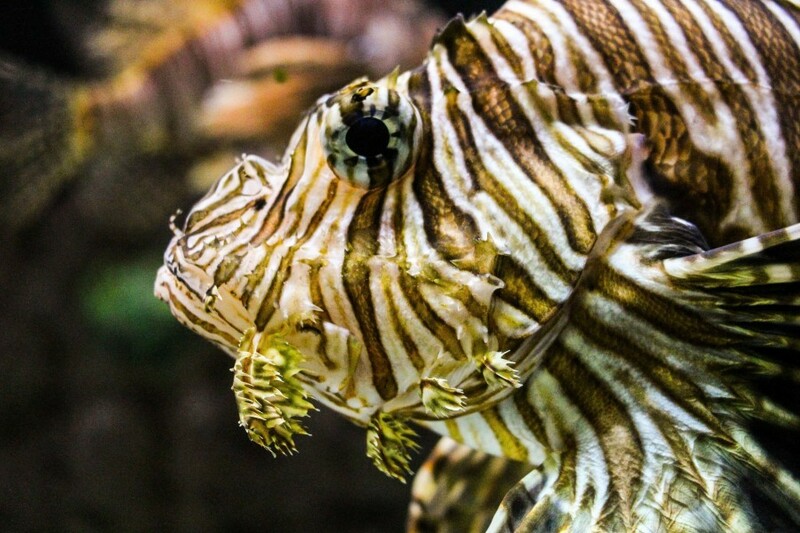 Join Mote Marine Laboratory for the fifth annual Sarasota Lionfish Derby, an environmentally friendly event that invites scuba divers to harvest this invasive species, and allows the public to taste delicious lionfish dishes prepared by top local chefs. The derby will take place from July 6-8 based at Mote, 1600 Ken Thompson Parkway in Sarasota. The Sarasota derby is a part of an annual series across Florida organized by Reef Environmental Education Foundation (REEF), which helps study and address the lionfish invasion, and Whole Foods Market, a partner in the series. Non-native lionfish have invaded Atlantic waters from South America to North Carolina, including the Caribbean and Gulf of Mexico. Register your lionfish hunting team for $120 per team (minimum two people, maximum four per team). Sign up here. The public is invited at noon Sunday, July 8, to join Mote scientists and derby participants at the lionfish weigh-in, view educational lionfish dissections and taste dishes from the Lionfish Cooking Competition. The public can also vote for their favorite lionfish dish to help elect the winning chef. Tasting tickets are $15 per person and available at mote.org/lionfish. Scroll to the bottom. The derby will kick-off with a captain’s meeting for the team participants from 6:30-7:30 Friday, July 6, in Mote’s WAVE Center at 1600 Ken Thompson Parkway, Sarasota. Lionfish hunting will take place on Saturday, July 7, in the Gulf of Mexico. Tournament boundaries are from Collier to Escambia County. On July 8, the fish weigh-in and lionfish tasting start at noon. Awards for the top teams will immediately follow the weigh-in and scoring. Artist Carlos Cardenas is donating four lionfish prints for the top lionfish derby team.